Magomadov Abu-Bakar Supyanovich , 1985. kidnapped in November, 22, 2006. In November, 22, 2006,on the Northern-Osetiya territory,two natives of Chechen republic was missing.They were Magomadov Abu-Bakar Supyanovich and Aziev Lyoma Vakhaevich. Since the second russian-chechen war’s begining,Magomadov Abu-Bakar with his family lived in Kantyshevo settlement,Ingushetiya. In November, 22, Magomadov Abu-Bakar drove to Vladikavkaz,Northern Osetiya to buy DVD disks. The fellows had mobile phones and 3000 rubles. That day,at 13:56,Magomadov Abu-Bakar phoned his mother. After 14:00,neither Magomadov Abu-Bakar nor Aziev Lyoma did not call back.Being anxious by their long absence,their relatives started searchings by their own, that resulted in nothing. The only thing could be learnt by the relatives was the employees of the market centre «Globus» who were last men watching Magomadov Abu-Bakar and Aziev Lyoma.They identified Magomadov Abu-Bakar and Aziev Lyoma by photos. The market centre sellers told that Magomadov Abu-Bakar and Aziev Lyoma did shopping in their store.By some data,they headed for the near store «Asmodzal». In December, 4, 2006,a member of the council of experts of the human rights authorized representative in RF,a chairman of the human rights centre «Memorial» board,O.P.Orlov,addressed to RF Procurator General,state councillor of the first class,Chaika Yu.Ya., with a request to inform «if a search activity by facts of people kidnapping actioned, who executed it,what number of the case is and a location of Aziev Lyoma and Magomadov Abu-Bakar established». In December, 15, 2006,a leader of human rights centre «Memorial»,Akbulatov Sh.A. addressed to the office of Iristonsky district procuracy, Vladikavkaz,Northern Os etiya: «According to the article 27 of federal law «About public organizations» we ask you to inform us просим: if Aziev L.V. and Magomadov A.S. were arrested according to the acting RF legislation, what misdeeds they are accused in,where they are now.If the criminal case had been actioned, by what law articles,who executed it and number of the criminal case. In case Aziev’s and Magomadov’s location isn’t ascertained,if the search activity had been aroused,who executed it.». 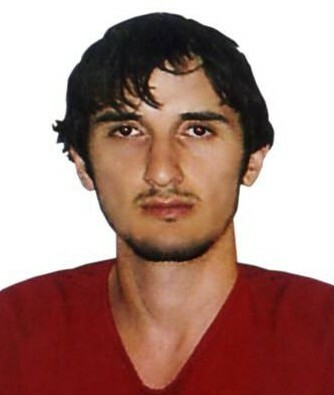 Description of Magomadov Abu-Bakar Supyanovich: 21 years old, height- 175 cm., dark,slight.He had dark clothes and a sporting knitted cap on.